Can an Ipod live up to a Live Musician/DJ? Let’s face it – the costs add up, even if you’re trying to have a low-budget wedding. There are certain things you can do without to save money, but there are other things you should NOT skimp on, such as your music. The music is “The Soundtrack” to your Wedding Day and you should make it your own. 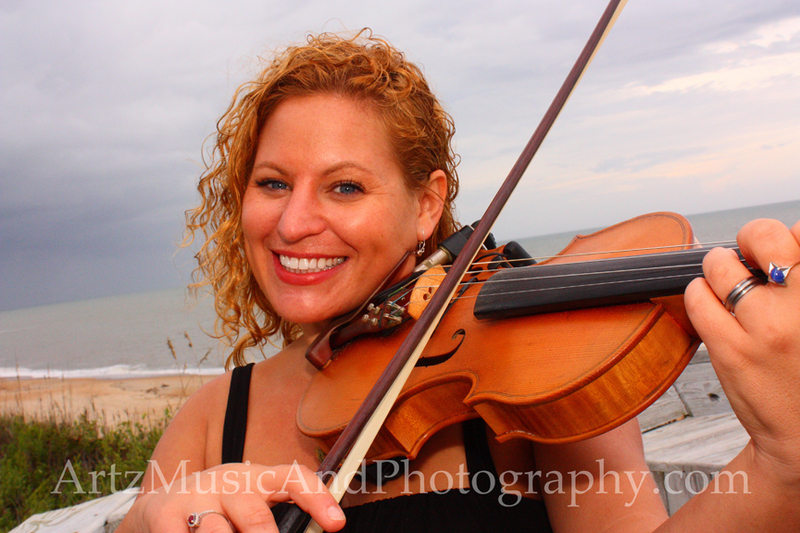 Sue Artz of ARTZ MUSIC & PHOTOGRAPHY is a multiple award winning classically trained concert violinist and Outer Banks wedding DJ. -Having no music makes the silent walk down the aisle a bit more awkward and uncomfortable. 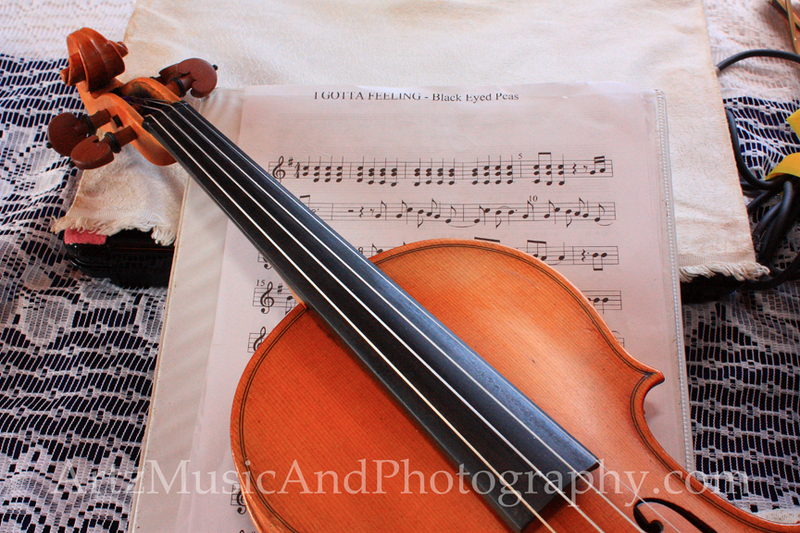 -Just because amusician is classically trained, it doesn’t mean they can’t learn a more modern special song for your ceremony. -Amusiciansupplies their own power, while a boom box runs the risk of its batteries dying during your once-in-a-lifetime walk down the aisle. -Amusicianwill time the music according to you, beginning and ending a song gracefully, where a recording begins/ends abruptly, might get set to play on the wrong track, or isn’t long or loud enough. -An Outer Banks beach wedding musicianis used the extreme weather conditions we experience here and uses the right equipment for such, while a boom box may not be able to play correctly with sand blowing all over it. 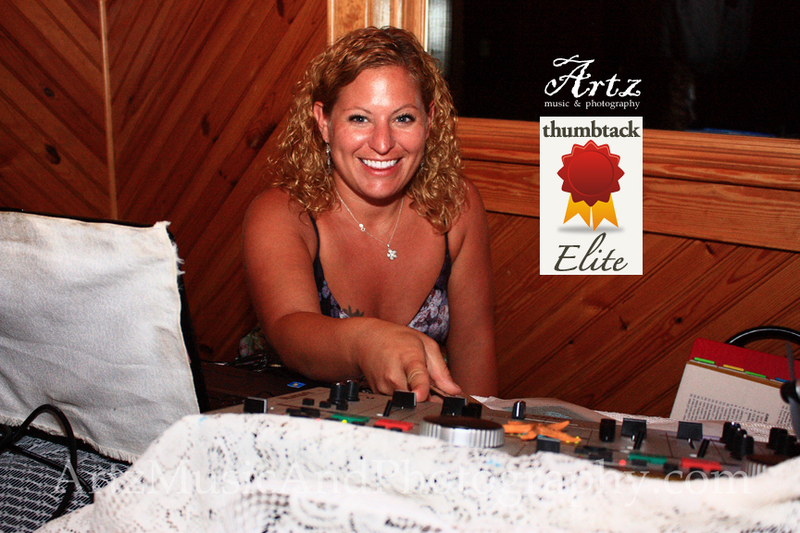 Sue Artz was recently awarded Most Popular DJ in the Region honors from Thumbtack.com. -In my case, I work closely with my couples for months, helping them plan their wedding, making their time-line, making sure I have all of their song requests and details worked out prior to the big day. An ipod cannot coordinate with your other vendors behind the scenes, making sure everything runs smoothly. -An ipod can’t “MC” your events throughout the night or make an announcement for the caterer. -An ipod has a limited amount of songs that your guests may request. A DJ can feel out the crowd and “shuffle” accordingly to keep the party going. -A DJ with a time-line will help keep the events on schedule and will know your wishes long before the wedding day. You can relax, knowing an experienced professional will be there, taking care of your Reception with a clear, level (sober) head. 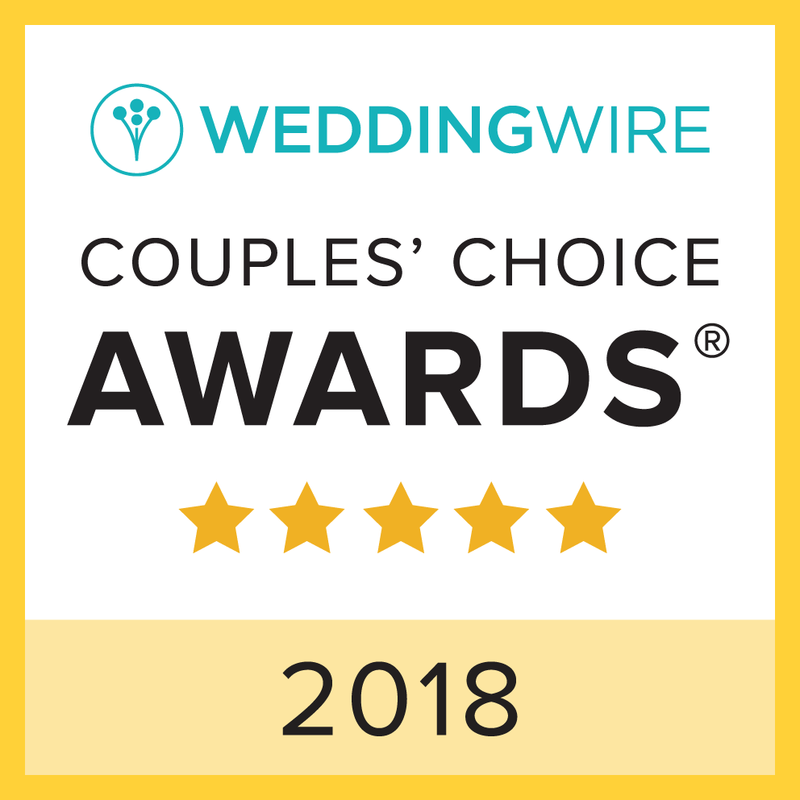 Sue Artz and ARTZ MUSIC & PHOTOGRAPHY recieved both The Knot Best of Weddings and WeddingWire Bride’s Choice awards for five consecutive years, 2010-2014.. If you’re still not convinced that an ipod is no match for a human, watch Sue Artz in action performing “The Devil Went Down to Georgia” live at a recent wedding reception in Nags Head. A “DJ-in-a-box” cannot do this! More than a wedding musician, Sue Artz is a bride’s best friend and “guidance counselor” in the months and weeks leading up to your big day. A classically trained concert violinist with a Bachelor of Science Degree in Music Performance, Sue has been performing on stage since age six and has played both Carnegie Hall and CBGB’s. Sue and her husband Matt launched Artz Music & Photography in 2006. 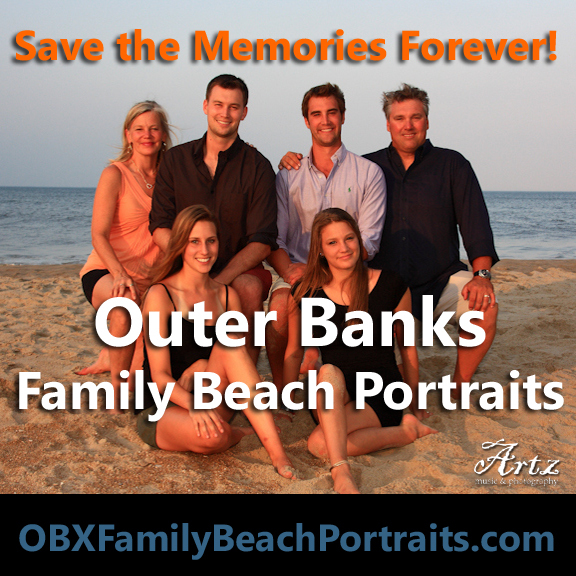 Artz Music & Photography provides wedding ceremony music and reception DJ services by Sue Artz and photography by Matt Artz, including Outer Banks (OBX) beach weddings, family portraits, senior pictures, engagement photos, bridal portraits, and“trash-the-dress” day-after sessions! This entry was posted in Wedding Tips and tagged music. Bookmark the permalink. ← Meet to See Eye-to-Eye!